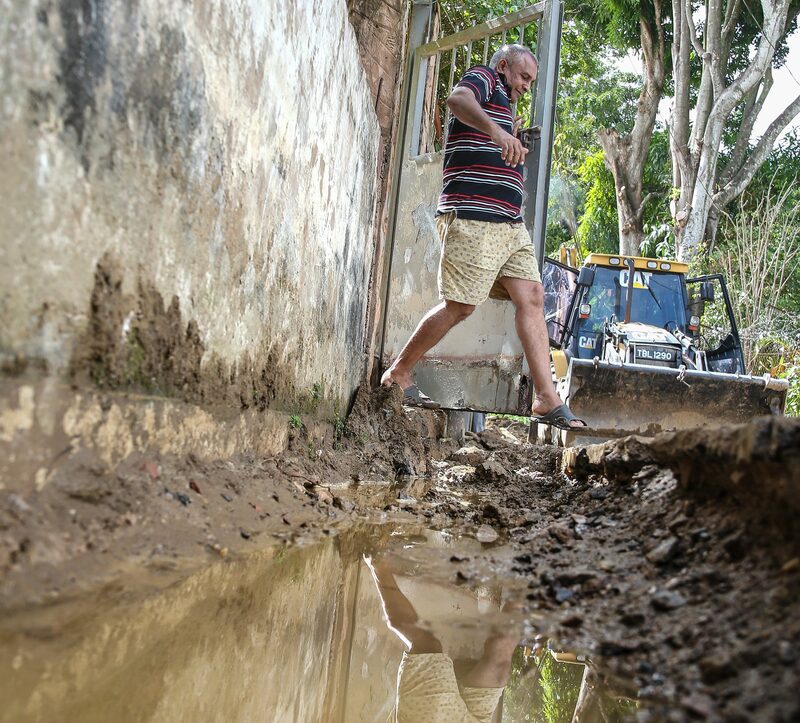 PATRICK MAHARAJ, a 52-year-old manager at a stationary supply company, is at odds with a contractor who, after paving a road at Surprise Lane, Diego Martin, returned to dig up the same road and construct a drain. Maharaj is complaining that the work on the road has damaged his fence, blocked his car from being able to exit his garage, and has caused his family distress and trauma. As Maharaj, his wife and two daughters were eating breakfast yesterday morning, he was surprised to see workers outside his gate digging a trench. "We had just gotten up, and all of a sudden we heard a backhoe starting up,” said Maharaj. “When we came outside, the men were already digging up the side of the road. The contractor said to me, he has a contract with the government." Things took a turn for the worse when, as the workers were driving the backhoe down the road, Maharaj’s gate was struck and lifted off its track. Unable to move the gate, Maharaj said his vehicle is now stuck in his garage, and he has no way of getting it out. Other residents joined Maharaj in questioning why the drain wasn’t constructed when the road was first paved. They said up to last October, the road running through the small village, which is opposite the Diego Martin North Secondary School, was in dire need of paving. They said, whenever rain fell the village would be flooded so they were thankful when the road was paved. The residents told Newsday they were consulted on the road-paving exercise in October last year, just before work started and had suggested that the drain be constructed on the right side of the road. But on Thursday when the contractor and workers arrived, they started work on the left side. Newsday spoke with contractor, Nazim Mohammed, who said he was hired by the Diego Martin Regional Corporation. He said when the road was paved, space was left for a curb slip drain to be constructed to redirect the flow of water from the nearby St Lucien Road and a small savannah, and keep it out of residents’ yards. “If we did not put up the curb slip drain, people would be calling the media and lamenting that we paved the road and caused their yards to flood,” Mohammed said. Reply to "Surprise drain on Surprise Lane"